Ville Le Zagare is the perfect venue for such a special day. Attention for details, selection of the best ingredients, the variety of setups are the keys of our success and make your event unique and exclusive. Our goal is to make your dreams come true, ensuring your wedding is one of the most memorable days of your life. 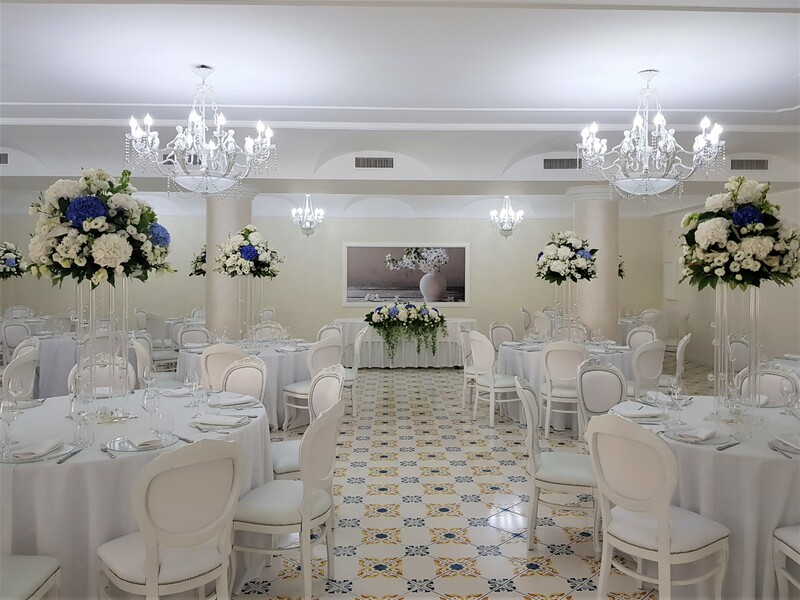 We offer beautiful and elegant halls that can accommodate up to 300 guests with its own character and style, perfect to satisfy all tastes and needs. LILIUM HALL: A warm and welcoming environment, elegantly furnished, perfectly cared of all the details. CRYSTAL HALL: Surrounded by large transparent windows, this hall will make you enjoy the delicacies of your banquet with a beautiful view on the garden. Fully air-conditioned, you can enjoy your celebration in the warm summer as in winter. VETTI HALL: Set up with a perfect Total White design to ensure a quiet and cozy environment. 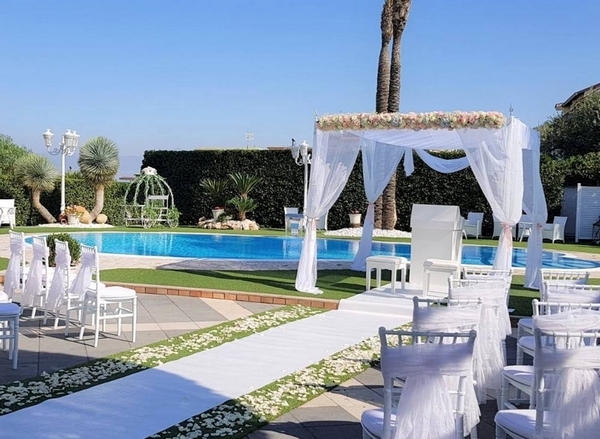 Villa le Zagare is the ideal venue for couples who want to celebrate a civil ceremony. We recreate the atmosphere of American weddings, and we take care of every details, using qualified and experienced staff who is able to plan and arrange the whole event according to your needs. Every event is custom-made and will follow all your wishes, that differ every time. You will experience events with many nuances, going from solemn to emotional and exciting ones… in one word … unforgettable.